Two Fighting game Juggernauts collide! 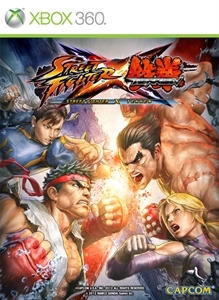 Street Fighter X Tekken is the first in two planned crossovers from Capcom and Namco that focuses on their main fighting games. 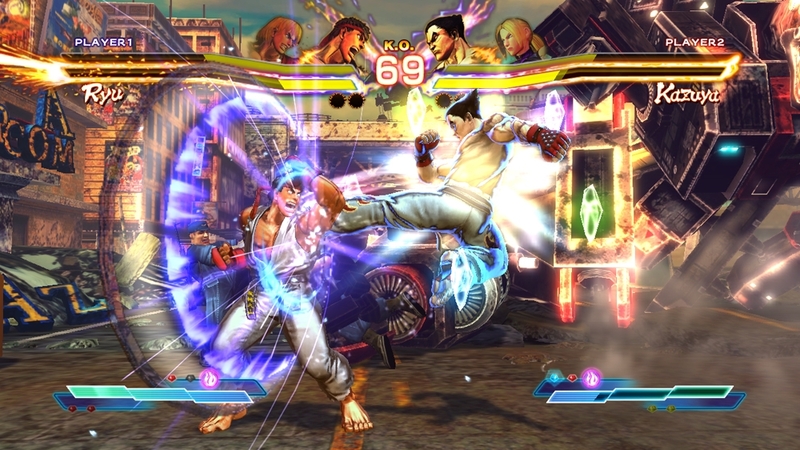 SFXT utilizes the system built from Street Fighter IV, including the visuals, combat system, and netcode from that game, while still appealing to Tekken fans since moves from Namco’s classic fighter can still be used. There is a fairly balanced roster available for each side, and DLC characters are available based on which console or platform you choose to play on. There are also the upcoming 10 characters that have been discussed–mostly due to the controversy surrounding them since they appear to be locked on the disc, so the roster will only get bigger for the game. SFXT is a mostly tag-team fighter and based on who you choose you will be able to see unique intros to each fights. 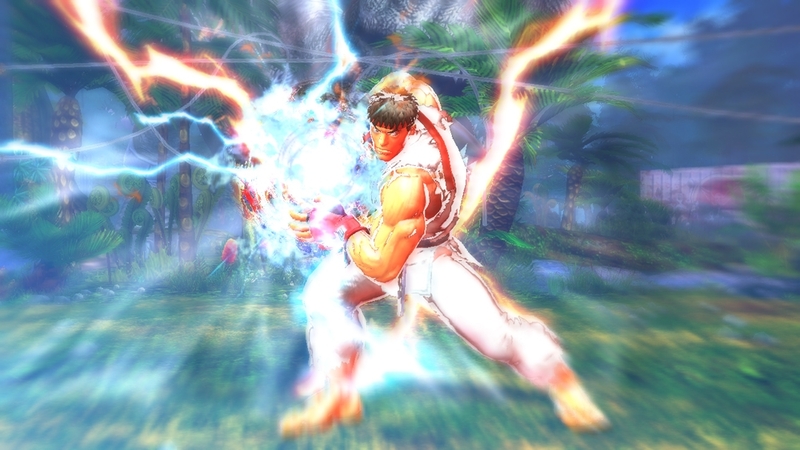 For one simple example, when Ryu and Ken are chosen for a team, there are unique bits of small dialogue between the two, but no matter who you choose as your partner, you’ll get to hear the characters talk briefly about their teammate and opponents. 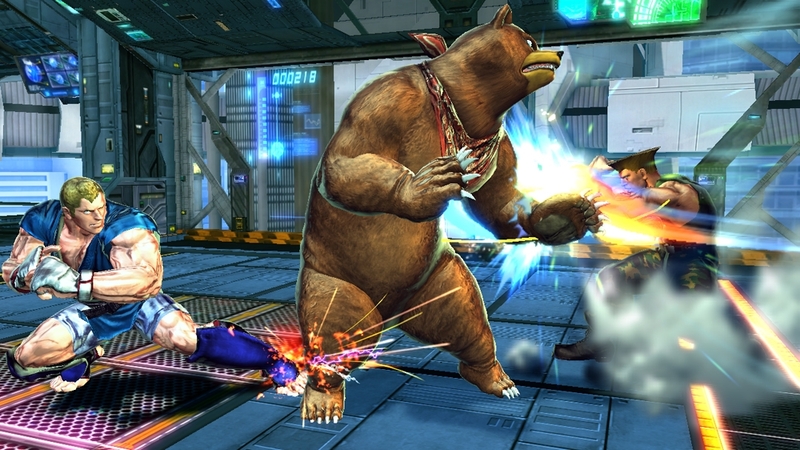 Tags can be made when you feel the need to switch out, and special moves can be executed to allow a character to enter or leave to avoid some damage. I’ve always found Street Fighter to be a fun game, but have never been quite good, so I can see why Capcom added a simple combat mode to aid new players. With the press of either the right or left analog stick, a simple combo can be easily executed, and the moves can be changed out if you want something different. Gems are something also new to this game. Gems serve as perks or assisters of sorts, allowing you to have various bonuses based on certain conditions when fighting. These can range from dodging a specific amount of attacks to completing a set number of special attacks in order for your gems to be utilized. Customization is also a neat part to the game. Your online persona can be customized with things like titles that accompany your battle points tally, and characters can be altered–allowing you to change certain parts of their outfits or the color of items that they wear. When you’re ready to hop online – no online pass is required – you’re greeted with simple ranked and player match options, as well as a replay channel where you can view your fights or view fights from top rankers on the SFXT leaderboards. Overall, SFXT is another great fighting game by Capcom with a nice set of default fighters, cool and unique stages to fight on, a simple yet deep combat system, and smooth online play. 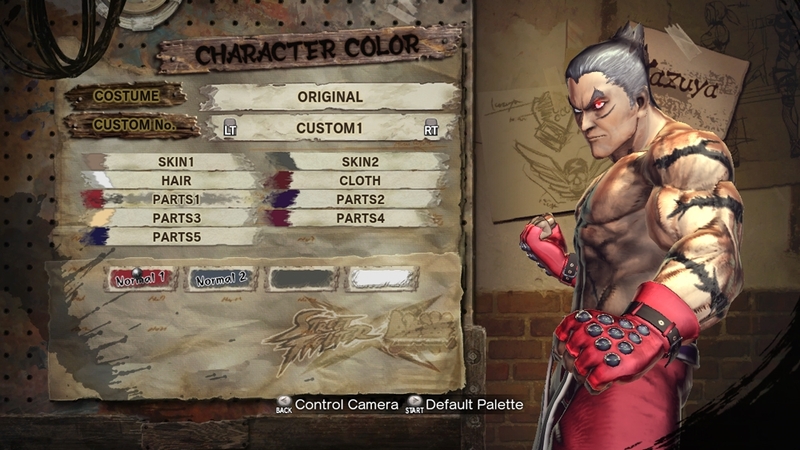 If Tekken X Street Fighter is this good, it should be a great hit for Namco. The glory days of fighting games are back! "A dream collaboration between the two biggest fighting game franchises is now a reality! A deluge of highly demanded characters join the fray in this tag team-based game! Street Fighter fans, Tekken fans and of course gamers of all kinds can enjoy the new, easy-to-understand battle system. 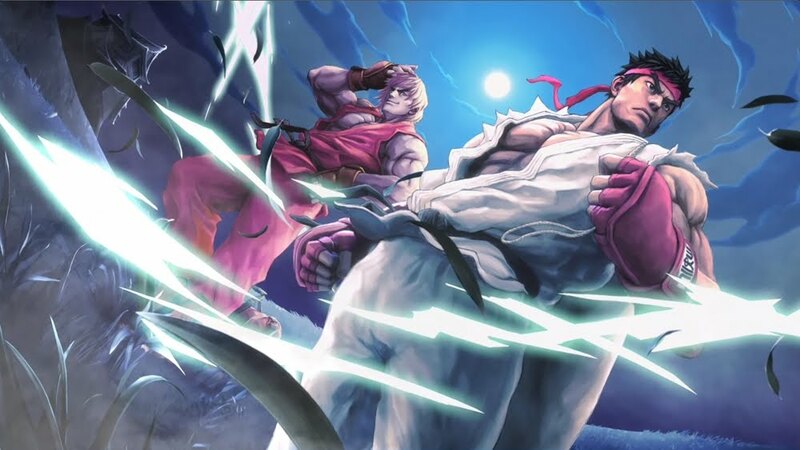 A new era in the history of fighting games is about to begin with STREET FIGHTER X TEKKEN!"